"But the drive, the drive must go on – so with an umbrella and a spare jacket we hit the road to meet up at Governor Phillip Park in Windsor by 8:30am. We managed to arrive around 7:30am, with a few other early rises turning up. Conversation started, how many of the 60 cars expected will turn up? Our guess… 20. 2, 3, 5, 6… 7, 10, 12, the numbers kept rolling in and before you knew it we were sitting at 27 and it was time for a driver briefing and to hit the road! " was most definitely calling, and this time round… 110 of us answered the call, yes 110." "Young Lachlan, a law student, found his passion behind the wheel and now managed to combine that passion through his lens. We're very thankful for his help and his amazing photos." and maintain a suitable amount of traction through the corners. Fun – to say the least!" 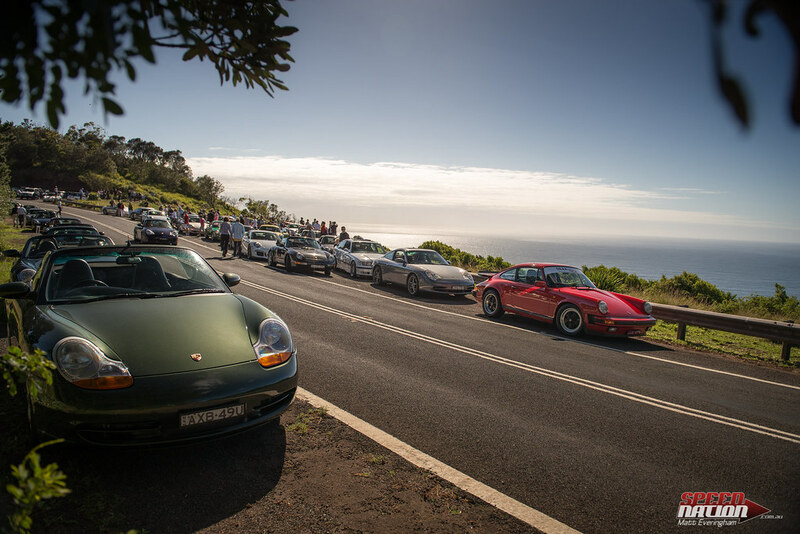 "With breakfast done and dusted, we were on the home straight to Bathurst. Another 70km’s laid ahead of us, and then the remaining 5hours of racing to be had. 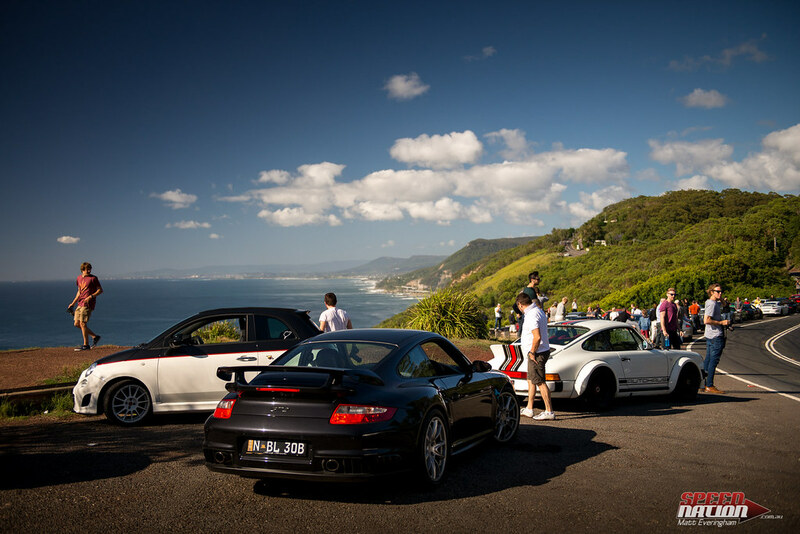 Arriving at the famous Mount Panorama, we found some space to park and this was the point for us to all go our separate ways"
had a huge rush of reservations, within the first week we had 50 Porsches and by the second we were sitting on 80!" and even south from Canberra."